Two of the biggest obstacles to the widescale adoption of hydrogen technology in cars has been the lack of hydrogen fuel at the gas station and the expense of hydrogen production. However, this hydrogen power station will allow you to produce hydrogen fuel at home. The kit extracts hydrogen from water that can be used in hydrogen fuel cells. 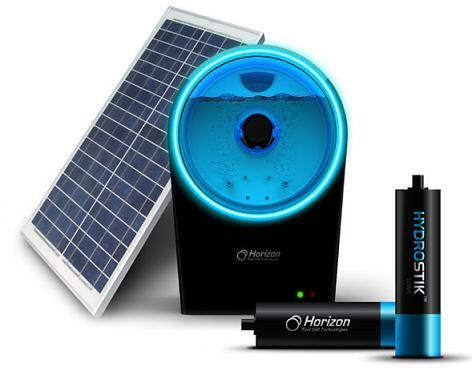 The Hydrofill uses electricity from solar panels (or mains power), and produces hydrogen that can then be stored in refillable cartridges. The system can generate some 2.5 watts of power. The kit is made by Singapore-based Horizon Fuel Cell Technologies, who are also releasing a range of products which can use the cartridges to power up smartphones, lights and other devices.